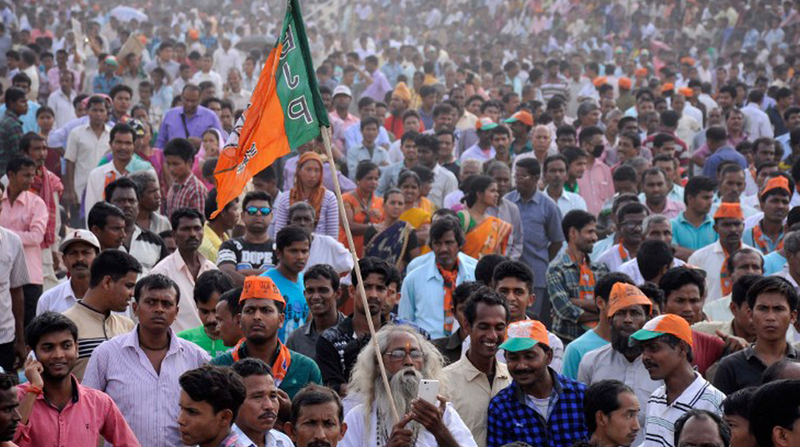 The ruling BJP today established early gains in the Uttar Pradesh civic polls as counting of votes was in progress for all the 652 urban local bodies. For the mayoral elections, the saffron party forged ahead on almost all the 16 seats from where trends were available after an hour of counting. BJP’s mayor candidates were leading in Meerut, Saharanpur, Lucknow, Ghaziabad and Gorakhpur as per initial trends. Counting of ballots polled in three phases on November 22, 26 and 29 was on under tight security cover and CCTV surveillance at 334 centres at district and tehsil headquarters, the state election commission said. Central paramilitary forces have been deployed around the counting centres. Arrangements have also been made for web casting of the counting process. The final results are expected by this evening. Results will be communicated to the candidates through SMS on their registered mobile numbers. Official sources said no procession would be allowed during the counting process and following the announcement of the results. Polling was held for 16 nagar nigams, 198 nagar palika parishads and 438 nagar panchayats with an average turnout of all the three phases estimated at 52.5 per cent of the 3.32 crore voters. The Yogi Adityanath government, soon after assuming office in March, had constituted two municipal corporations of Ayodhya and Vrindavan-Mathura. The overall percentage recorded an improvement from 46.2 per cent in 2012 to 52.5 per cent this time. The elections have generated a lot of political heat with the ruling BJP leaving nothing to chance. Chief Minister Yogi Adityanath criss-crossed the state to woo voters in the name of development. Aware that the BJP’s performance in the polls was being watched closely after its massive sweep of the state in the Assembly polls this year, Adityanath undertook a whirlwind campaign, unprecedented for a chief minister, during civic polls.